Americans are used to paying for subscriptions — to magazines and cable television, for instance — but experience shows they'll cancel when the price of admission gets too high, or there are more tempting alternatives. Cord cutters ditched nearly 1.5 million pay-TV subscriptions in 2017, according to a survey by Leichtman Research Group. Cable TV started out cheap with basic offerings, and then got expensive. The auto industry's subscription offerings are new, but they're starting out costly, and not price-competitive with traditional leasing. The upside is that they take the hassle out of car ownership for busy people by letting the service take care of maintenance, insurance, licensing and taxes. And they give consumers choice, often allowing relatively painless switches between different cars in the automakers' lineup. Subscription services also point the way toward an ownership-free auto experience, and offer an easy transition to a potential world where ride- and car-sharing will be dominant. Subscriptions are here to stay, but consumers may take a while to "get" them. Lincoln's subscription service for lightly used 2015 to 2017 models, offered through the Ford-owned Canvas beginning this year, got off to a slow start. Many early subscribers canceled. Last month, Cadillac announced it would "temporarily pause" its $1,800-per-month Book subscription service for "adjustments" as of December 1. According to the Wall Street Journal, "Snags with the back-end technology used to support the service made some customer-service functions tedious and time-consuming, adding costs for the company." The challenge for automakers is to come up with a strategy that offers consumers a compelling, affordable option to regular ownership, and one that can also make a profit. I think they'll find that sweet spot, but they're not there yet. Jack Nerad, former executive editorial director at Kelley Blue Book and author of "The Complete Idiot's Guide to Buying or Leasing a Car," points out that "A lot of people expected that subscriptions would be very valuable for people who wanted inexpensive transportation, but the reality is quite the opposite. Subscriptions are offering more choices for the wealthy. And, faced with a $1,500 monthly payment, those consumers might just choose to go out and buy the car they really want." 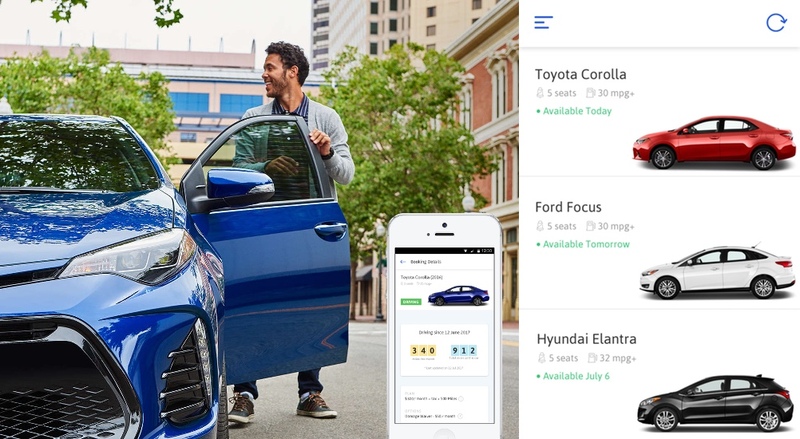 Some basic mechanics: The services vary, with some charging a flat fee for access to a specific group of cars, and others setting different monthly rates for different models. Many of the services are tiered, with entry-level cars on the bottom, premium and luxury on the top. Mileage restrictions are common, but fairly generous. Care by Volvo allows $1,000 worth of damage to the car or excess miles without penalty. Many of the programs are offered in only a few cities. Price resistance has led some automakers to lower their tariffs. BMW's Access charged a whopping $3,700 for its top M tier, but now that's down to $2,699. And a base $1,099 tier has been added. Care by Volvo: $600 a month for the XC40, $775 for the S60, no down payment. Mercedes-Benz Collection: Car changes with minimal notice; lower Reserve tier, $1,595 per month; Premier tier, $2,995; The application fee is $495. According to Ivan Drury, a senior analyst at Edmunds, "The sticker shock is kind of impressive." He pointed out that under BMW's original plan, a consumer would be paying $3,700 monthly to drive an X6 M. "The traditional lease on the same car was half that," Drury said. "For that price, a customer could lease both an M6 coupe and the X6 M and have them both on hand." Independent offerings include Flexdrive, Less, Borrow, Fair and Carma. The offerings vary, of course, but a big benefit is their fleets include cars from more than one manufacturer. Want to try a Tesla? Borrow one from Borrow, which is electric-only. But only Los Angeles residents can apply. Drury pointed out that third-party services give consumers "lots of wiggle room" on vehicle choice, and most likely a minivanif that's what a family actually needs. The third parties are also usually cheaper than the auto companies. Want another parallel? The record companies tried to offer online music before iTunes, but not only overpriced their services, but some made them blatantly self-serving, with files that disappeared when customers unsubscribed. Apple's $1 for a song you'd own forever was instantly appealing. The stumbles at the opening gate may be short-lived. It is really in automakers' interests to build subscription services that work, both for them and the people who want to access transportation, not own it. There's no doubt that the subscription model works. It's potentially quite disruptive. But the full impact won't arrive until Americans are offered a deal they can't refuse.